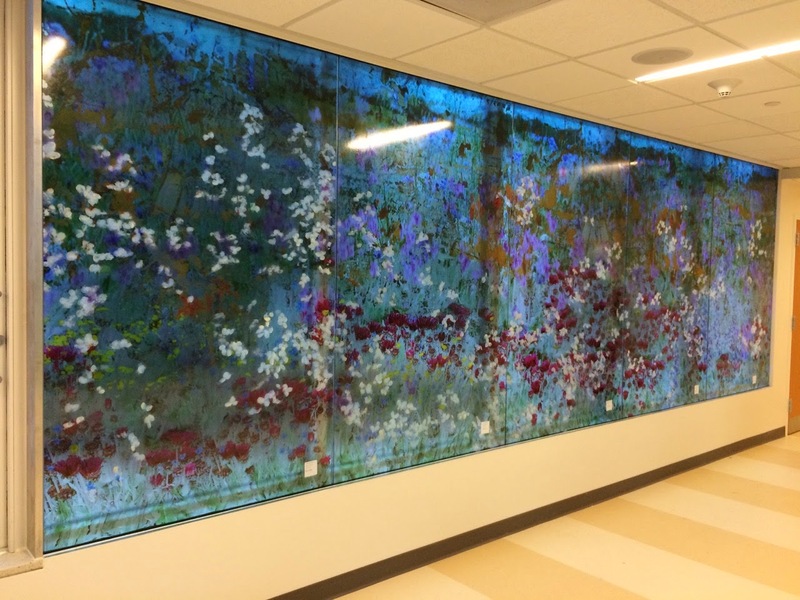 On Sunday April 19th, 2015, join Magnolia director Donald Farnsworth and artist Mildred Howard from 2:00 pm - 3:30 pm at the Richmond Art Center for a special conversation: "Magnifying Magnolia and Mildred." 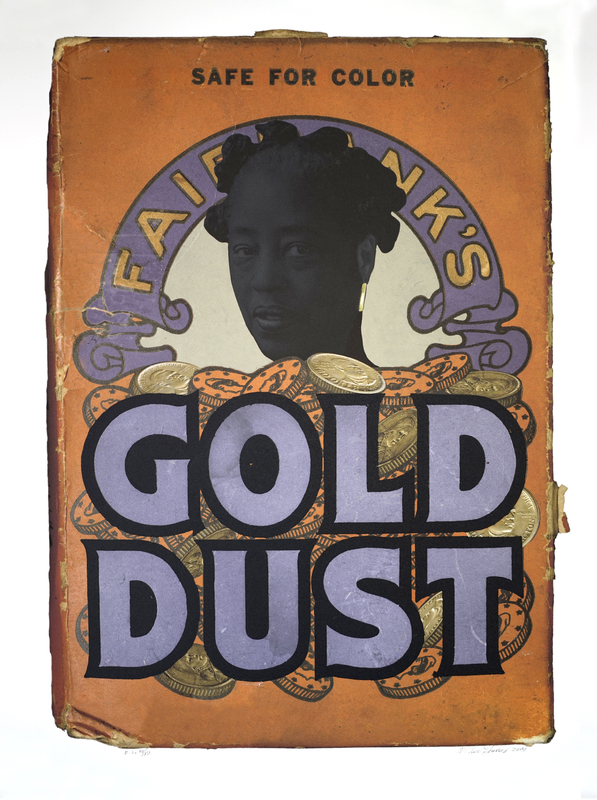 Presented as Howard's terrific exhibition "Spirit and Matter" hangs in the gallery, this discussion will touch on the ideas and techniques that Howard and Farnsworth have drawn upon in developing print editions like Howard's 2014 The Other Side of the Coin series. 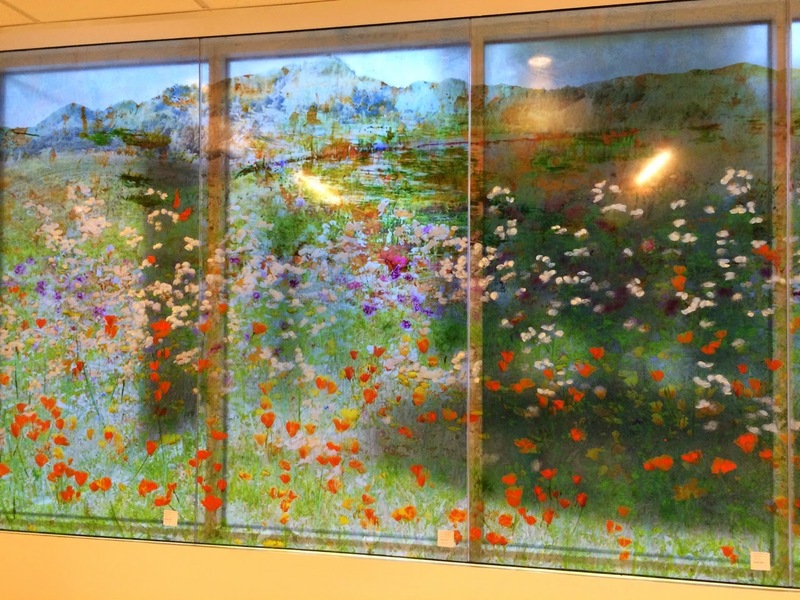 Even poker-faced San Francisco Chronicle critic Kenneth Baker was moved by the powerful and elegantly curated body of work on view at Richmond Art Center. 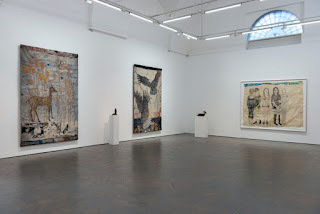 In today's review of "Spirit and Matter," Baker muses: "Racial politics and Dadaist feminism filtered through modern art legend in a key of worldly-wise humor — who but Howard could do that?" Thoughtful and urgently topical, Baker's review of Howard's show is well worth reading in full. 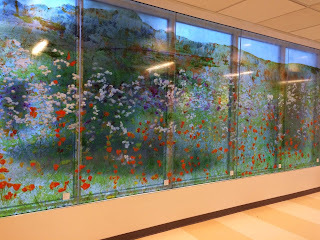 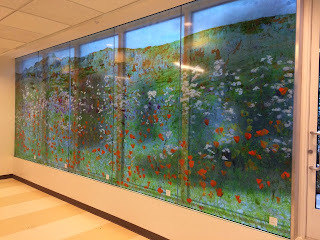 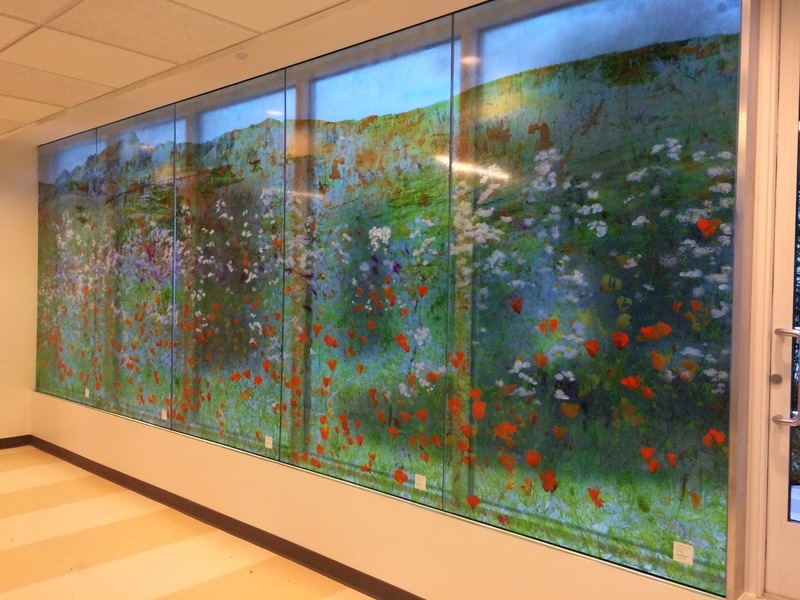 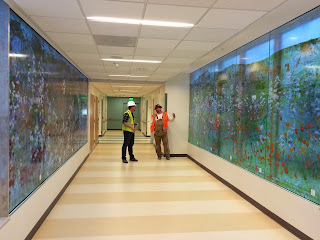 A new permanent installation by Mildred Howard at San Francisco General Hospital, printed at Magnolia Editions; photo courtesy of Lenehan Architectural Glass.